1g (approx. 600 Seeds). Early variety, intended for cultivation in open field and greenhouse. Forms a large rosette of corrugated leaves - bright in the center and dark green on the edges. Lettuce (endive) has a spicy flavor with a slight bitterness. 2g (approx. 1500 Seeds). Asparagus lettuce consists of a tuft of dark green leaves resembling Romaine lettuce atop a long thick stem. The leaves and stem are both edible, but are usually prepared in different ways. The outer leaves are relatively tough and bitter, and they are often discarded. The mild-tasting leaves at the tip of the asparagus lettuce look and taste like lettuce. When eating it raw, the stem has the crunchiness, juiciness and a spicy flavor similar to celery; but it is milder and more delicate. When cooked, the stem tastes more like asparagus than celery. 2g (approx. 600 Seeds). Early (20-28 days) open pollinated variety. Cold weather and moisture-loving, can be grown indoor year-around. Fragrant leaves with a pleasant taste. Use for salads, sauces and as a seasoning for meat and fish dishes. 1g (approx. 600 Seeds). Mid-season variety (60-65 days). Forms a large rosette with dark green leaves and a yellow-green center. See my other lots of seeds. Perennial herb co creeping stems up to 50-60 cm. Prefers well-shaded and humid places. The plant is cut frequently, until the shoots of flowers. See my other lots of seeds. Annual plant height of 20-30 cm, with well-developed basal rosette of leaves. Juicy, pleasant sweet taste leaves removed before the appearance of stems. In the food use fresh, as an additive to salads, appetizers or alone as a side dish. 2g (approx. 1500 Seeds). Mid-season iceberg variety (55-75 days). Round, closed, loose head, weight 150-250g (5-9 oz.). Yellow-green leaves, very wavy with a sweet taste. Resistant to bolting, suitable for summer cultivation in open ground as well as in spring in greenhouses. Use fresh. See my other lots of seeds. The head is rounded, closed, loose, weighing of 150 — 250 g. Leaves yellowish green, very wavy, buttery, sweet taste. Used fresh and for processing foods. Early maturing variety salad of chicory. Grown by sowing seeds in the soil or seedlings. Used fresh and stewed. See my other lots of seeds. Middle-grade endive salad. It forms large rosettes with dark green, ruffled edge leaves and yellow-green centre. Grown by sowing seeds in the soil or seedlings. See my other lots of seeds. Middle-grade endive salad. It forms large rosettes with dark green, ruffled edge leaves and yellow-green centre. Grown by sowing seeds in the soil or seedlings. Early maturing variety salad of chicory. Grown by sowing seeds in the soil or seedlings. Used fresh and stewed. Early maturing variety that forms rosettes with wide succulent leaves. See my other lots of seeds. Early maturing variety chicory. Grow sowing seeds in the soil or seedling. - planting in the ground / transplanting. - planting seedlings. Mid-grade chicory. It generates a large rosette with dark green, on the edge of corrugated sheets, and yellow-green center. 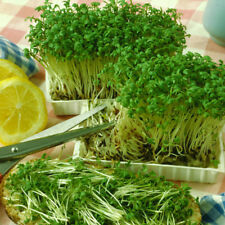 It is grown by sowing seeds in the ground or through seedlings. - planting in the ground / transplanting.